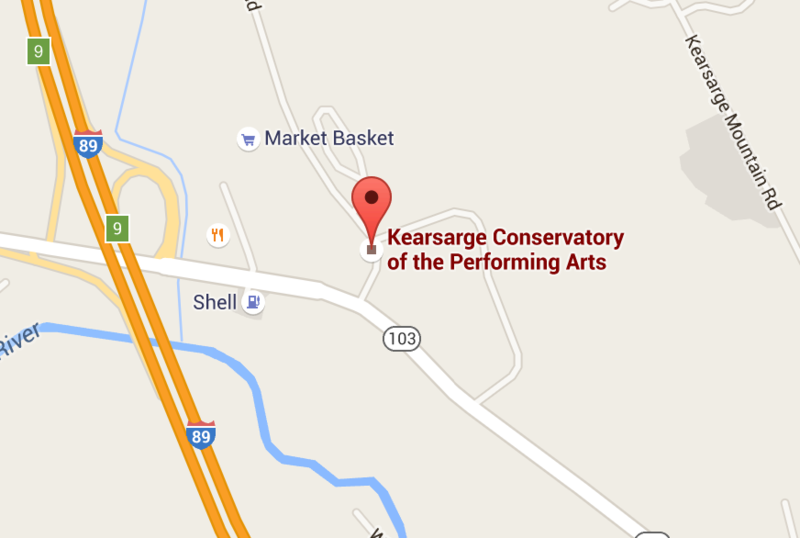 I’d like to take a moment to introduce you to the Kearsage Conservatory of the Performing Arts. KCPA is an educational facility for dance, music and drama which has been located in Warner, NH since 2003. We provide extensive arts education for local youth in the form of weekly classes, workshops, and performing opportunities. You may have seen our students performing locally at MAYFEST, Warner Fall Festival, or one of our original Holiday or Spring shows. Our students are also active members of local theater and arts productions. KCPA is not a typical performing arts studio. All KCPA educators have extensive professional experience within the performing arts: over 90 years combined, with Masters Degrees in music, dance and drama. Our classes teach excellence in craft and character. We work as a family, encouraging an attitude of helping others become their best so each student can reach his or her maximum potential. We believe that education without art is incomplete, and strive to provide the highest quality performing arts education to students of all kinds. No student is turned away due to finances. As a non-profit educational organization, KCPA is focused on providing quality experiences for all. We strive to enable each child to find their own place, to excel in the arts, which will give them fulfillment today, and for the future. To this end, we offer scholarships to those who qualify. In 2014 alone, KCPA gave away over $13,000 in scholarships. These scholarships are unfunded, resulting in decreased operating expenses, low capacity building and underpaid staff. To ensure our students continue to have access to arts education, we have launched our first fundraising campaign. Our goal is to raise $15,000 by June 1, 2015 to ensure KCPA students can continue their valuable arts education for the 2015-2016 season. Check with your employer to see if they provide matching contributions!